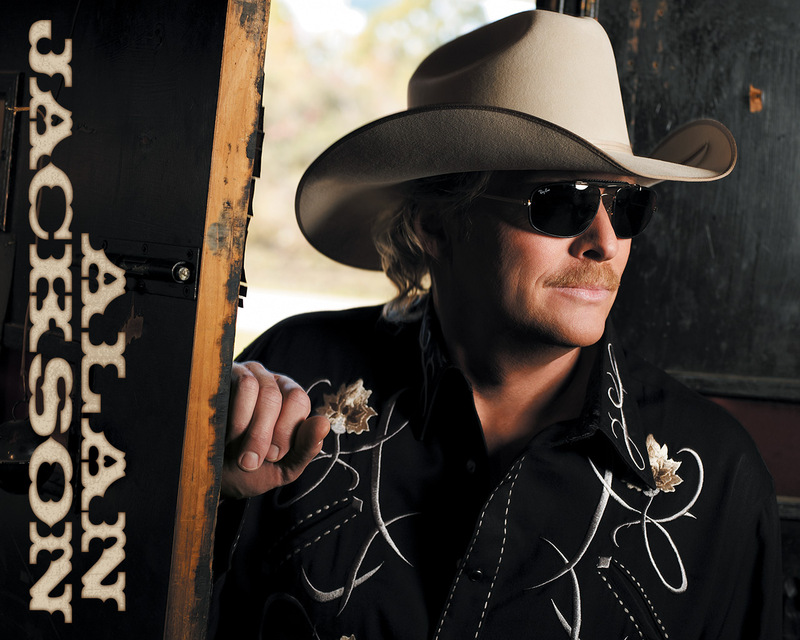 Country music mega-star Alan Jackson has been threatening to cut a bluegrass album for the past few years, dropping hints in interviews and tantalizing the substantial crossover between country and bluegrass fans. When he brought Alison Krauss in to produce his 2006 project, Like Red On A Rose, there was speculation that the CD might take a grassy turn. But despite including a fine version of Wait A Minute, famously tagged by Seldom Scene, both that track and the whole album were firmly in the contemporary country camp. This year, however, it finally came to pass. Jackson assembled an all-star cast of bluegrass pickers and singers in April, and tracked a new all-acoustic record at The Castle outside of Nashville. In the studio were Sammy Shelor on banjo, Adam Steffey on mandolin, Tim Crouch on fiddle, Tim Dishman on bass, Rob Ickes on reso-guitar, and Scott Coney on guitar. Ronnie Bowman and Don Rigsby were on hand to provide harmony vocals, with Keith Stegall and Adam Wright producing. Titled simply, The Bluegrass Album, it will be released September 24 on Jackson’s ACR label, distributed by EMI Records Nashville. Eight of the tracks are Jackson originals, along with covers of The Dillards’ There Is A Time, John Anderson’s Wild And Blue, and a slow, 3/4 time version of Blue Moon Of Kentucky. We caught up yesterday with Sammy Shelor, who said that they tracked all the rhythms and most of the vocals in five sessions over two days. The band sat in a circle with half dividers between them so that everyone could see each other, with Alan and the backup singers tracking live with the band. Bluegrass fans may not recognize the name of session guitarist Scott Coney, who also plays guitar, fiddle and banjo in Jackson’s country band. Sammy says that he is also a super bluegrass guitarist, both lead and rhythm. Studio band, producers and engineers with Alan Jackson in the studio for The Bluegrass Album sessions“Coney is the biggest Rice nut in the world. He has hours of live Rice recordings, a lot of them with me playing on the show. That’s how he found out about me. “There’s a good variety of styles and tempos among the songs. Shelor said that there are some slower ballads, but also a number of “punchy, drivey, mid-tempo pieces,” and a couple of fast ones. Sammy expects this record to be warmly embraced by bluegrass fans. “Alan’s voice lends itself perfectly to bluegrass, in my opinion. If you like Ronnie Bowman or Marty Raybon singing bluegrass, you’ll love Alan Jackson doing it. Current plans suggest that Jackson will do some television and selected live shows to promote The Bluegrass Album around the release date, with a likelihood of further touring to follow. They hope to hit a number of major bluegrass festivals next year as well, using the same musicians who appear on the album. We’ll report back as further details are announced.